Our “User Generated Content” feature allows your users to upload their own content to your store. Users can add content, upload video, edit content and share the embed link of the content. Whereas, in the CMS you can “Approve the Content”, edit and/or delete the content that has been uploaded by the user. Once the content is uploaded by the user, the monetization methods set in the CMS by the store admin will be applied to the user’s content by default. Currently, all stores having sub-domains with Muvi (i.e. 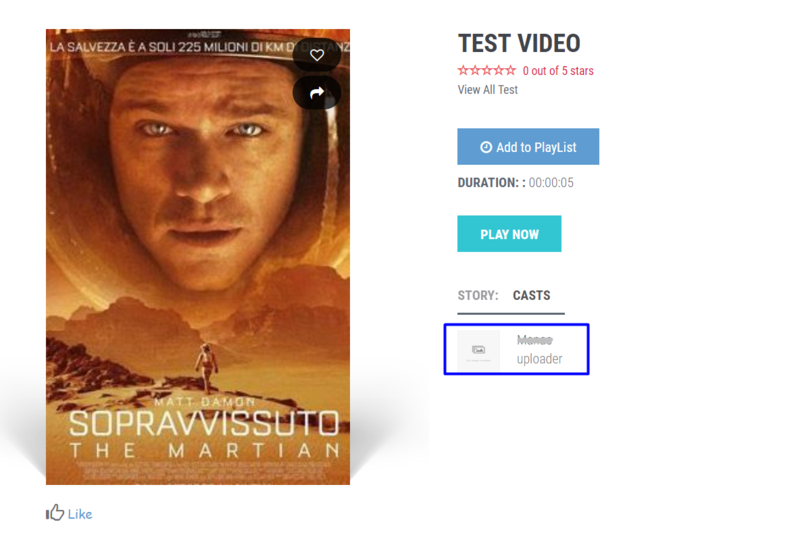 abc.muvi.com) can allow their users to upload content to their store. However, stores with other domains (i.e. abc.com) need to add a support ticket to get permission to allow their users to upload content. All the monetization methods (Subscription, PPV) already set for the store will be automatically applied to the UGC content once it is approved by the store admin. Currently, end users/non-Admins cannot set any monetization method (Subscription, PPV) for the UGC content they upload. To allow your users to add content to your store, first you need to enable “User Generated Content” in your CMS. Under "User Generated Content" select the checkbox for "Enable UGC(user-generated content). Will allow users to add content". Select the check box for “Review UGC(user-generated content)”, if you want to first review the content uploaded by the users and then give your approval to publish it on the website. If you will not approve the content, then it will not be available on the website. If you do not select this option, then all the content uploaded by the users will be automatically approved. Note: Currently, this feature is only available in Modern Template. Once you will enable the “User Generated Content” in the CMS, the users will see an option “My Uploads” under the profile menu after they login to your website. Note: First add "#" to enter search tags in the text field. Press "Enter" key or "," comma. You can add multiple search tags. Users need to click on “Browse” to upload a video from their computer. Once the video is uploaded, it will be automatically mapped to the content and then start “Encoding”. The content will be available on the website once the encoding is finished. The content added by the user will not appear on the website, until you approve it in the CMS. When asked for confirmation, click on “Yes” to approve the content. Then need to click on "OK" to confirm. In this page you can view which user has uploaded what content, you can preview the content, view/edit the content and/ delete the content. After you approve the content, it will be available on the website. Users can view the content by searching for it in the search bar or clicking on the content category which is assigned to the content. By enabling fan report for up-loaders, you can allow your users to view the detail report of their fans who watched their uploaded content. It will show the users who have watched the most number of contents by the particular up-loader. To enable fan report, go to "Manage Content" -->"Settings" in your CMS. Under "User Generated Content", select the checkbox for "Enable fan report for your up-loaders". Users can also download the report in Microsoft Excel format by clicking on "Download CSV"